I’m always on the lookout for cozy family-friendly recipes in the winter. I’m also on the lookout for sales. My local Aldi had 2-pound packages of ground turkey on sale recently. I decided to try Tom Colicchio’s Dairy-Free Meatloaf recipe from our archives. 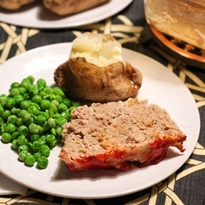 Even with turkey instead of ground beef, the meatloaf was full of flavor. 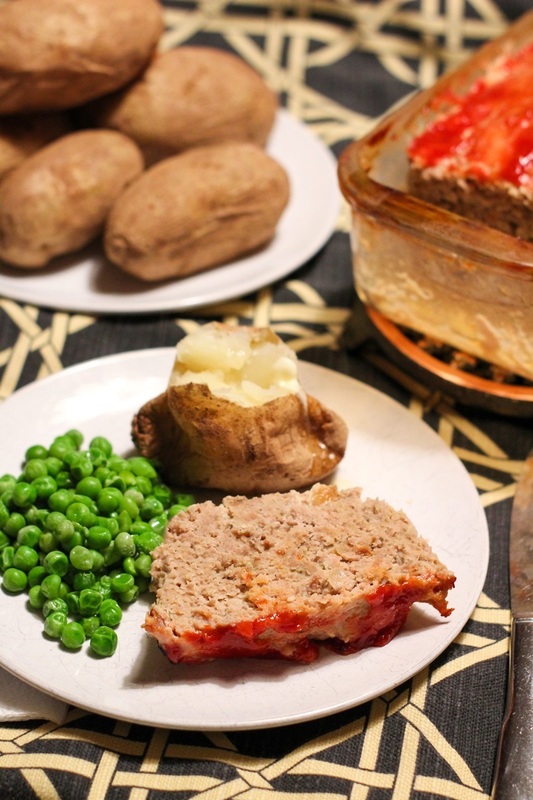 Believe it or not, meatloaf is often made with dairy. It’s very common to moisten the breadcrumbs with milk before stirring them into the meat. Some breadcrumbs are made with dairy. And some recipes add cheese, naturally. But Top Chef Judge Tom Colicchio knows that the best meatloaf is made without dairy. Tom Colicchio’s dairy-free meatloaf recipe was originally shared with us by Cate O’Malley of Sweet Nicks. She found it in People magazine’s Meals Under $10 column back in 2009. 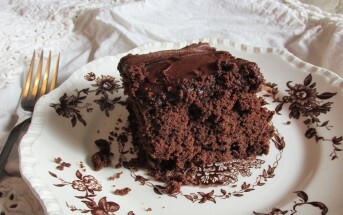 Fortunately, this recipe is a timeless classic. I’ve added a few options and adapted instructions from my kitchen, and updated the post with new photos. This hearty dairy-free meatloaf makes enough for dinner as well as for sandwiches the next day. The original recipe says to make a free form loaf and bake it on a roasting sheet. I used an 8×4-inch bread pan instead. Either method will work just fine. 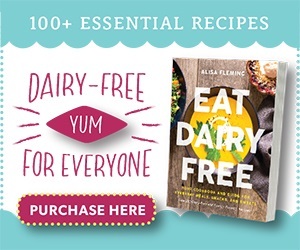 By ingredients, this recipe is dairy-free / non-dairy, optionally gluten-free, nut-free, peanut-free, and soy-free. 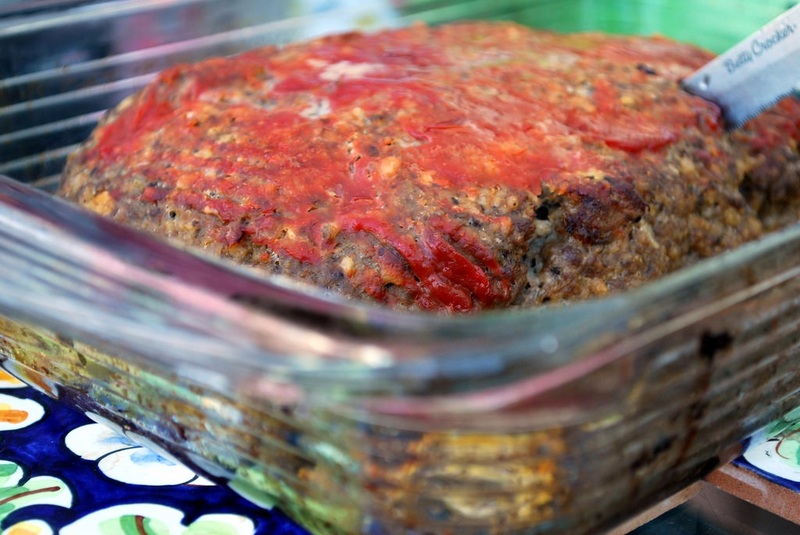 For an egg-free, dairy-free meatloaf, see Alisa’s Egg Substitute Guide. She has included at least three options in that guide which work well for meatballs and meatloaf. You can also see the reader comments below. 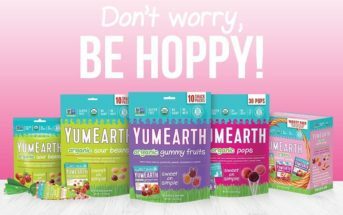 This recipe is adapted from People magazine. It was originally shared with us by Cate O'Malley, but I've added some options. Heat the oil in a skillet over medium heat. Add the onion and sauté until golden, 6 to 10 minutes. Add the garlic and sauté for 1 to 2 minutes (be careful not to burn the garlic). In a bowl, stir together the meat, eggs, onion and garlic mixture, bread crumbs, mustard, oregano, salt, and pepper until combined. 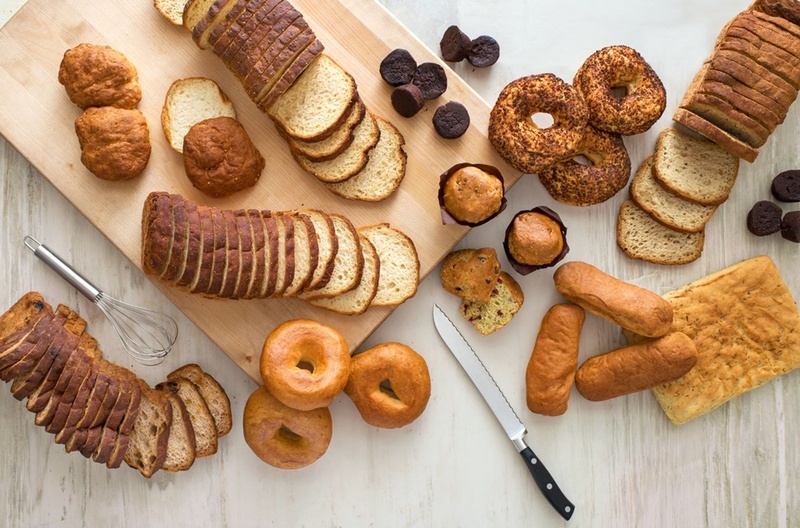 Form a loaf and place it in an 8x4-inch baking dish or loaf pan (preferably glass) or shape it into a 7x5-inch loaf and place it in a roasting pan. Spread the ketchup evenly over the top of the loaf. Bake for 1 hour, or until the meatloaf reaches an internal temperature of 145ºF for beef or 160ºF for turkey. It may take an additional 15 minutes or so if using ground turkey. Remove and allow to rest slightly, draining any excess fat or liquid if necessary. 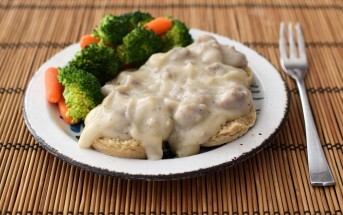 Cut the meatloaf into ½-inch thick slices and serve. Just made this. It’s really good. So many recipes online have more liquids (milk, or much more ketchup etc) that I was worried it might be dry. It was great. I did make two minor changes: 1 lb ground beef, 1 lb ground turkey. and I topped with 1 tbs ketchup and 1tbs BBQ sauce. My wife is the cook, but I wanted to make my son his favorite meal, meatloaf. With help as good as yours, I got this! This is great, Sean! I’m so glad to hear you liked it. I can’t wait to try your barbecue sauce suggestion. Thank you so much for taking the time to comment. Just made this for my family. 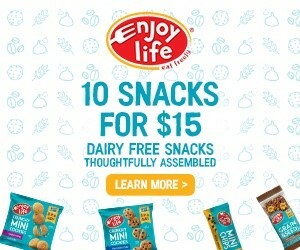 My son is allergic to dairy and eggs. Used an egg replacer and it was delicious!! Definitely a keeper! Fabulous! So glad the recipe worked out well for you Jessi. I made this tonight. I used 1 pound of lean ground turkey and 1 pound of lean ground beef. I also left out the salt and pepper, and used GF bread crumbs and no-salt-added ketchup. 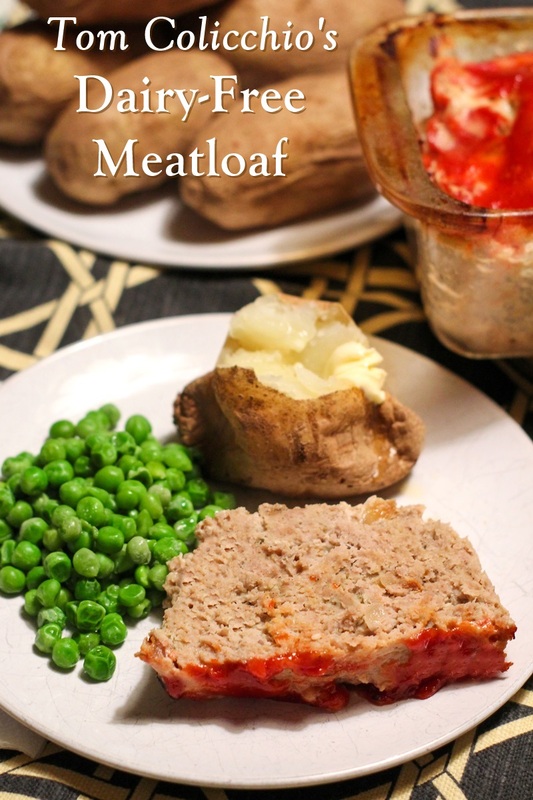 My 91 year old Mom does not like meatloaf, but she LOVED this recipe! She even had seconds! The meatloaf was moist and tasty. I made two loaves— doubled the recipe. I sliced and froze the second loaf for easy future meals. That’s fantastic Rhonda! Awesome that it worked out well for you and we appreciate your feedback. Made this again today, only made Meat Muffins or Meat Cupcakes (not sure what to call them). Really liked the individual portions. 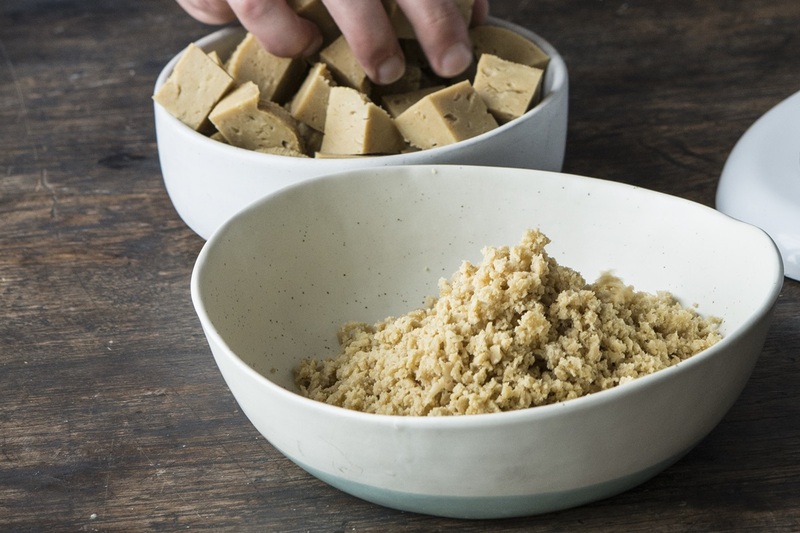 Make a double batch and will freeze the extras. 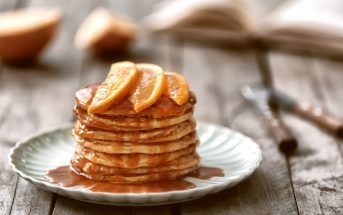 My family loves this recipe – and so do I! Fabulous! Thanks for sharing this Rhonda. This is an excellent recipe. I left out the salt, used oats instead of breadcrumbs, and cut the dijon mustard & ketchup by 1/2 as the meal included by 94 year old grandmother who is on a sodium restriction. Thanks for a great recipe. So glad it worked out, even lower sodium. Thanks for your feedback Cassie! We can’t do eggs in our family either so I used a “chia egg” in place of the egg, and it came out great! Just grind 1 Tbsp chia seeds and mix with 3 Tbsp warm water. Let stand a few minutes until it’s goopy and egg-like. Glad it worked out JoLynn! Thanks for sharing your substitution. What can be in place of the egg? My husband can’t eat eggs either. Avocado – I often use mashed avocado as a binder in savory foods. 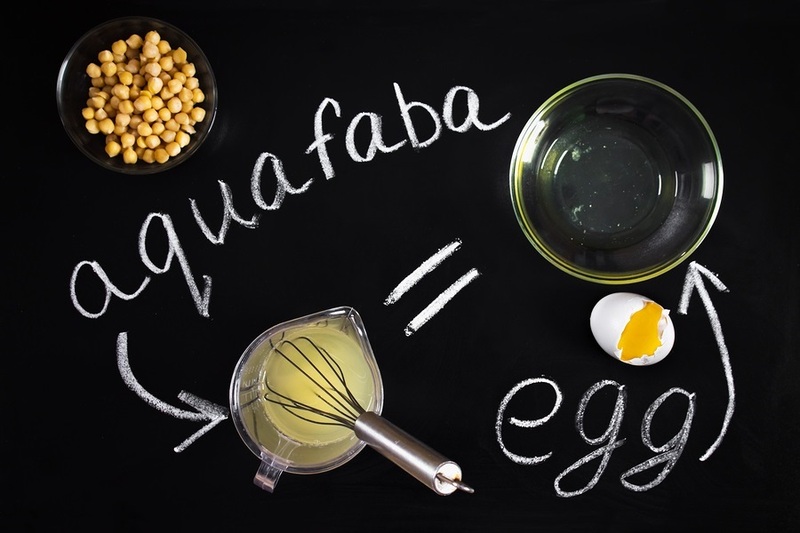 Each egg is about 1/4 cup, so you would want to use roughly that amount for replacement.